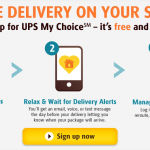 Have You Signed Up for UPS My Choice Yet? It’s Free! And I Love It!